Floodplains and river banks, wet meadows and thickets; open hardwoods and clearings (spruce-fir at Isle Royale), borders of forests. 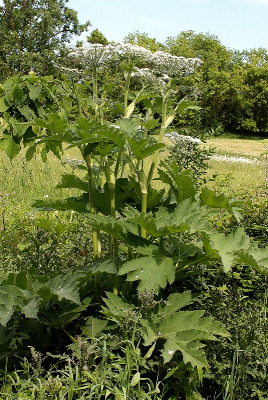 Individuals are often as tall as 2 m, with broad (at most ± 20 cm) flat-topped, white-flowered umbels, and are a striking sight. MICHIGAN FLORA ONLINE. A. A. Reznicek, E. G. Voss, & B. S. Walters. February 2011. University of Michigan. Web. April 26, 2019. https://michiganflora.net/species.aspx?id=125.